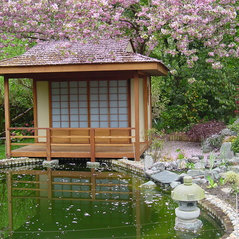 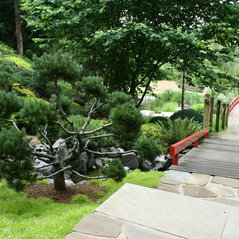 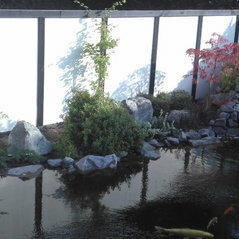 Design, Build & Supply products for Japanese inspired gardens. 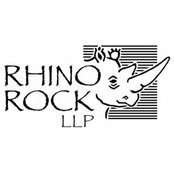 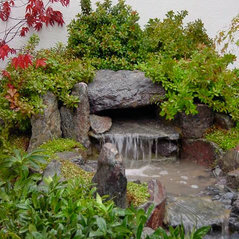 Over the last 20 years, Rhino Rock llp, has become one of the leading Japanese garden design, build and supply companies in the United Kingdom. 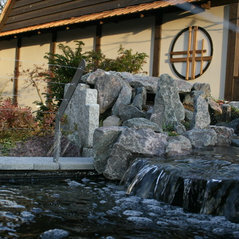 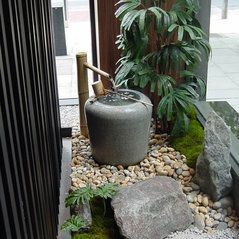 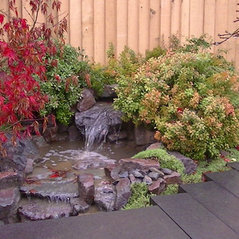 We specialise in Japanese style water gardens, having completed hundreds of projects all over the country. 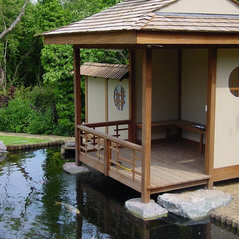 We have provided designs and consultancy to gardens, as far afield as Malta and Dubai. 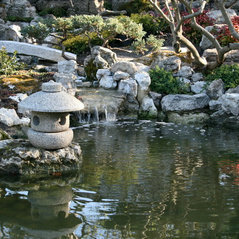 We import, stock and display the UKs most comprehensive range of Japanese garden supplies. 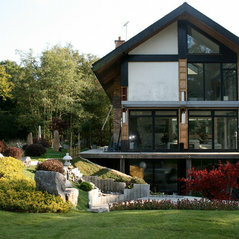 We have everything you need to make your project a reality. 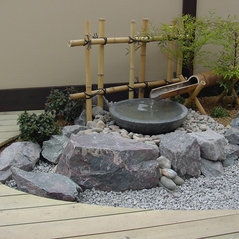 Whether its a DIY project, or you want us to design and build your Japanese garden, we are always on hand to offer knowledgeable advice. 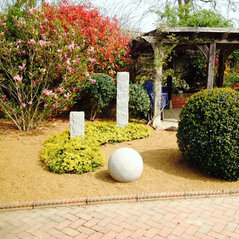 Our family run partnership is based in the heart of Kent from 'The Japanese Garden Centre' our unique nursery. 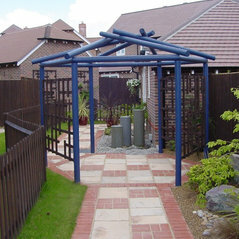 Over the last two decades we have built up a specialist network of suppliers both in Europe and Worldwide. 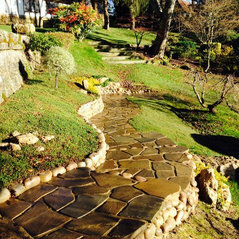 We are confident that we can find the perfect tree, stone or materials for your project. 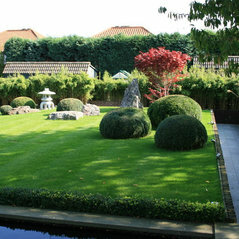 We welcome trade and consumer enquiries and supply many local and national garden designers. 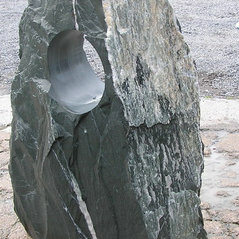 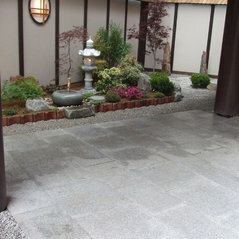 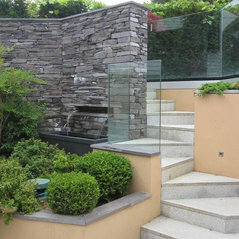 Please visit our sister sites www.buildajapanesegarden.com and www.architecturalgranite.co.uk for more information. 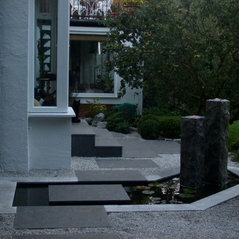 Garden Design, Garden Construction, Supply Materials, Specimen Plants, Natural stone products, Granite paving, Interior Products.